Autism is a lifelong condition affecting social communication. It can involve a strong need for routine and predictability. Most autistic people have sensory processing difficulties, for example coping with flickering fluorescent lighting, strong smells or background noise. Understanding facial expressions and body language is more difficult, and eye contact can be painful to endure. Autism often also has strengths, including accuracy, honesty and dedication. Autism is a spectrum disorder. This means that its impact ranges from moderate to severe. It affects people with and without learning difficulties. People with autism do not look disabled. Autistic social communication is often misunderstood, and many experience anger from others, with loneliness and anxiety as a result. 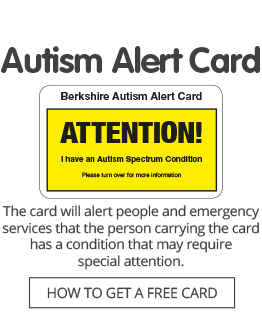 Between 8,500 and 20,000 people living in Berkshire are directly affected by autism. Adults who think they may be autistic should contact their GP, who will be able to advise them on next steps and make referrals for specialist advice. Click here for more information about autism and related conditions, compiled by the National Autistic Society.